Christened by many as "the last of the divas," operatic vocalist Renata Scotto stunned many by fully rebounding from a serious vocal setback at an early age and then dramatically expanding the possibilities of the coloratura form. 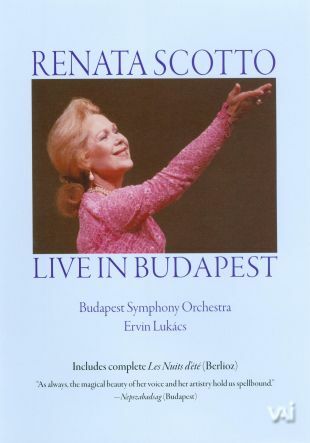 The classical music performance film Renata Scotto: Live in Budapest finds the Italian soprano headlining a concert in Hungary's capital city, in which she interprets works by Berliosz, Handel and Mozart. The Budapest Symphony Orchestra, under the baton of Ervin Lukács, provides musical accompaniment.